Lyndal and our driver Russell were great. They took the four of us on the grand Sydney tour where we saw Bondi Beach Manly Beach. Then rode through most of Sydney. We then walked the opera house where her background knowledge of the opera house was extremely informative. Lyndal was very knowledgeable and a great guide. We would recommend her highly. We enjoyed our time with Lyndal. She was very knowledgeable and accommodating to all our needs and desires. Thank you for a very pleasant three days. She set up a wonderful trip. I especially loved the stories she told to accompany each location we visited. Our driver was excellent and could add some interesting information too. My wife and I really enjoyed this tour! Recommended!! What an amazing day!! Thank you again Lyndal (and Russel). We were well cared for and educated! Lyndal answered our endless (9 hours worth) questions - flora, fauna, history, geological formations, culture and many other esoteric topics - with humor and exceptional knowledge. She facilitated our entrance into places that required tickets and offered additional insight into how to best enjoy theses sights. One of the best tour guides I have ever had! Lyndal is knowledgeable, well organized, delightful, and accommodating. She is an excellent communicator who enthusiastically conveys her love of Sydney. We had a great day touring Sydney with Lyndal. Lyndal is a true professional with a cheery spirit! She picked us up at our hotel and took us to the Blue Mountain area. We had a wonderful day with Lyndal, as she filled us in on lots of local informations and fun stories. She knew all of the best places to stop for photos, food and more. She really knows her stuff. Lyndal was such a pleasure and we would recommend her to anyone! This tour was fantastic! Lyndal was absolutely awesome on all levels. She was very knowledgeable and was very pleasant and kind. Would highly recommend this tour! Lyndal is a truly exceptional guide. She has an amazing command of the history and background of Sydney. We asked her many questions, and she was able to answer them all without hesitation. She is a wonderful story-teller and has a great personality. She was able to give our party of 6 a great tour of Sydney that included all the most essential elements in one day. Tour guides simply don't get better than Lyndal; highly recommended!! Lyndal provided a wonderful tour and overview of Sydney. It was like we had known her forever. The sites we visited were beautiful and her history of the area along with that of the driver was most informative. We really appreciated that she spent a New Years Day with us. If you want a small group very informative tour would definitely recommend you sign up with Lyndal. Another very well organized and wonderful tour by Lyndal with assistance from her driver, Russell. We got to see even more than we had hoped and everything was done so seamlessly. Provided great insights into the pertinent history of the area but also gave a lot of personal input about their experiences living in the Sydney and Blue Mountain area. Lyndal's city highlights tour was exceptional. She and our driver, Russell, gave us a great tour and covered a lot of territory in a short time. With history, scenic views and personal insights that made our relatively short time in Sydney so productive. In addition, Lyndal was very flexible with our timing, squeezing in the tour between our arrival and evening dinner plans. Wow! Lyndal planned a super day for us traveling to and from Canberra and exploring the capital city. We did anan assortment of activities and saw many sights. It was a long but wonderful day; and we enjoyed every minute of it. In addition we learned a lot about Australian snack food and writers. Yum and Yay! Lyndal planned a super day for us in the Blue Mountains and shared an amazing amount of Australian history and other interesting information. Our tour was flexible and allowed us choices based on our own desires and limitations. On the way back from the Blue Mountain area she showed us some areas in Sydney we might enjoy exploring. It was a great day! Lyndal was a wonderful tour guide and gave us so much information. She was very accommodating. Thoroughly enjoyed Sydney!! TOUR GUIDE RESPONSE: Totally enjoyed our day together in Sydney. Hope you enjoyed NZ as well. Thank you for visiting!! Great walking tour of the Rocks with Lyndal. She is informative, friendly and knowledgeable. Led us to interesting places we would not have found on our own. She also shared really interesting stories of her childhood in the outback. Timed the tour well to end at the opera house near noon. Take her advice: do this tour in the morning if you go to Sydney in the summer.... too hot in the afternoon. Worth the price. Lyndal was informative, entertaining and flexible. Lunch at Bondi Beach was amazing! She also gave us a lot of suggestions on what we could do over the next couple of days and fun places to eat. There were six of us and we all had a wonderful full day with her! Lyndahl was a fantastic guide--extremely knowledgeable, personable, and organized. We saw some wonderful, out-of-the-usual places with her and learned very much in a short time. We thoroughly enjoyed our couple days with Lyndahl and already have referred her to friends. If we ever return to Sydney, she is the person we would want to show us even more. Lyndal has a very rich background in the Australian (not just Sydney) culture and helped us understand this at a very tangible level. She was the most knowledgeable guide we had along our Australia travels. She knows Sydney extremely well and helped us appreciate and understand the City at a deeper level than we got from guides in other cities. We highly recommend Lyndal. TOUR GUIDE RESPONSE: Thank you so very much Lynda. WOW - what a B E A UTtiful day with Lyndal touring some of most AMAZING countryside. Perfectly paced, driver was great, inside and knowledge along the way second to none. Passion & energy were great. Lunch spot and wine spots were perfect. She knew all the little secrets to get us in and out of the areas and avoid lines!! You won't be disappointed with your day in the Blue Mountains with Lyndal!! We arrived in Sydney after a long flight from the US, and met Lyndal for a 4-Hour walking tour. It was without a doubt the best decision we could have made. She was so engaging and passionate about her City that we didn't even think about being tired. TOUR GUIDE RESPONSE: Enjoyed the time with you Marjorie! TOUR GUIDE RESPONSE: Thank,you Clyde. We had a great day in Sydney with Lyndal. She's fabulous and smart and fun. Loved every minute. Hurry to book her. She's really popular. Lyndal was fabulous, on time, prepared, fun loving and welcoming. The tour was great although I wish we had a bit more time at the animal park even with skipping the "cultural show". The up-close experience with the animals was special. The Blue Mountain area was beautiful and Lyndal was able to enrich the experience with her vast knowledge of history, culture and more. Lyndal was a professional in every aspect. Her knowledge and presentation was informative and entertaining. We would recommend her to any friend travelling to Sydney without reservation. Lyndal was very knowledgeable about Sydney history and we enjoyed her friendly manner and tour pacing. We had a fantastic walk around the Rocks and the Opera House with Lyndal. Lyndal is passionate and enthusiastic about Sydney, which resulted in a top notch walking tour! Lyndal is clearly one of the best guides in Australia. On time, pleasant manner, awesome knowledge/experience. Well planned tour including changing the schedule to avoid crowds. We were very fortunate to book her. You will be too. The highest recommendation possible. Lyndal was one of the best tours guides we've ever had. She is knowledgable, from both an historical and sociological perspective, and she is articulate, well-organized, totally lovely, and a lot of fun! She is a proud Aussie, and is passionate about her city. Thank you, Lyndal, for an inspiring day in Sydney! TOUR GUIDE RESPONSE: Carol, what lovely generous words from you! And for a day which was more than a pleasure for me. Thoroughly enjoyed my time with you all. Wishing you many more years of delightful travel. One of the best guides we have ever had. Certainly the most interesting and well traveled. We loved Sydney. We hope to cross paths with Lyndal again. TOUR GUIDE RESPONSE: Heidi, delightful day with you and your family. Appreciate your generous comments. Best wishes for many more years of happy travels! A most knowledgeable tour guide. Well planned and executed tour. TOUR GUIDE RESPONSE: Most enjoyable day George! Thank you for your kind words. TOUR GUIDE RESPONSE: A great day with you and your family Reuven! Glad you enjoyed my beautiful city!! And please send your friends.... A need the work, haha!!!! Excellent tour. Showed us things about Sydney we would have missed otherwise. Her knowledge was expansive, and able to give us great insights about the area. She was very friendly and helpful. I would highly recommend her. TOUR GUIDE RESPONSE: Thank you Steve! Enjoyed thoroughly showing you our beautiful city! Best wishes for many more happy years exploring the world! What a fabulous tour! We had so much fun learning about Sydney's history and attractions with Lyndal. She was absolutely wonderful and got our week in Sydney off to a great start. She was fun, knowledgeable, kind, and patient with our two small children, too! We highly recommend this tour and any tour with Lyndal to anyone visiting Australia. This is a great tour something for all age groups! Animals, wine, chocolate!!! It was perfect! Made even better by Lyndal. She is an excellent guide totally accomodating, ready to make last minute adjustments to suit your needs. She is knowledgeable and has a great personality. We felt like we were touring with and old friend!! Highly recommend this tour, Lyndal and tours by locals. They have also been very helpful with some last minute tour adjustments. Lyndal made our time in Sydney unforgettable. She is knowledgeable, a joy to be around and accommodating. She made our tour interesting for the adults yes kept the attention of my three children. Highly recommend any tour by Lyndal. She is lovely! TOUR GUIDE RESPONSE: HI lovely people! Enjoyed my time with you! And thank,you for graciously allowing me the Chardonnay!!! Hope you have an amazing time in our beautiful country and survive NZ!!! Ha ha!! The tour was amazing and Lyndal was knowledgeable and accommodating. We were able to work around the crowds at the Blue Mountains and they made special stops at our request. I would highly recommend this tour and highly recommend Lyndal. TOUR GUIDE RESPONSE: Delightful days with your family Jeff!! Thanks for visiting our corner of the woods!!! Lyndal was amazing. She was knowledgeable and entertaining. She changed her normal tour to adapt to our preferences. We thoroughly enjoyed our time with her and can highly recommend her tours. We spent two wonderful days in Sydney with Lyndal and loved every minute. She made sure we saw what we wanted and also showed us places that we didn't know we wanted ;) Very much like traveling with a knowledgeable, thoughtful friend. I want to especially note her thorough and fascinating tour of "The Rocks." Thank you so much Lyndal! TOUR GUIDE RESPONSE: Thank you for your kind words Sarah! It DID feel like good friends sharing!!! And I still wonder now what new adventures you've Ben up to since!! Happy happy travels!! Excellent tour. Lyndal showed us a lot in a short time. She is very knowledgeable and friendly. Lyndal is very knowledgeable and her tour was terrific. We highly recommend her. Excellent tour guide, very knowledgeable and friendly, highly recommend her! Our four hours with Lyndal were outstanding! She gave us great advice on how best to use our time. We started at our hotel, walked to Darling Harbor, took a ferry to Circular Quay, and walked The Rocks with the commentary and insight that only comes from a local professional guide. We saw areas that we would never have found on our own. TOUR GUIDE RESPONSE: Thanks Paula, I enjoyed sharing our city with you! Lyndal is very knowledgeable and an excellent guide. Our group of 6 toured with her 3 consecutive days and each day offered an experience different from the previous day but with wonderful, witty, educational, historical and personally touched commentary. We were all very pleased. My group of family and friends was limited in the time we had to explore parts of Sydney before embarking on a New Zealand Cruise and we opted for the half day Sydney highlight's tour with Lyndal with a drop off at the cruise ship port. Are we ever glad we did! We really appreciated Lyndal's detailed stories and anecdotes at each of the stops. We also loved the Sydney Opera House. We were also very grateful for the cute memento provided by Lyndal at the end. Thanks so much for a memorable day! My group of family and friends were incredibly thankful to Lyndal for the wonderful day. We started at the Featherdale Wildlife Park, which was our favorite animal experience in Australia, then travelled on to Leura and the Blue Mountains. Such beautiful scenery. We really appreciated Lyndal's knowledge and thoughtfulness and the personal touches that made our day truly memorable. We're sorry we could not spend more time with her! Although my husband and I couldn't make the tour due to illness, other members of my family met Lyndal at the agreed upon time, and had a very enjoyable tour. They said Lyndal was very knowledgeable about The Rocks area and imparted a lot of information with a lot of enthusiasm! We are very sorry that we missed Lyndal's tour, but look forward to exploring Sydney ourselves some day! TOUR GUIDE RESPONSE: This tour was personalized for Patsy's group and there was insufficient time available to get to the best Wildlife Centre. Lyndal knows Sydney inside and out and its obvious she loves every corner of this fabulous city. She has a wonderful, warm personality and we so enjoyed spending the morning with her! Not only does she show you all the beautiful sites but is able to expound on the history of the city in great detail, sharing wonderful colorful details that really bring it to life! Hats off to her!! We had a splendid two days in Sydney with Lyndal! She is thoughtful and energetic and, most importantly, extremely knowledgeable and enthusiastic. She took us to all of the best spots and gave us the real "insiders" tour. We loved our time with Lyndal and will recommend her to all of our friends when they go to Sydney! I cannot imagine a better experience. Lyndal showed us a very scenic view of sydney. She also showed us a very secluded, quiet and romantic restaurant where we had lunch with an excellent view of the scenery. A day before that, she showed us the beautiful residential areas of Watson Bay and the Dover Heights. 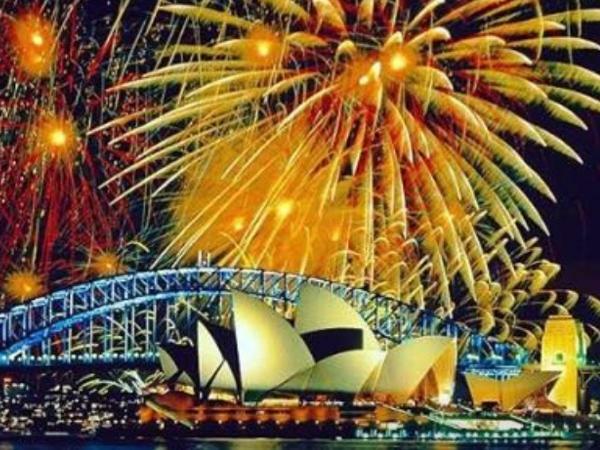 This is certainly a tour that should not be missed and we would certainly recommmend Lyndal should anyone be looking for a private guide in Sydney. She is very expreienced and knowlegeable. Lyndal is a very experienced guide. We did not see much. This is because of our choice as we wanted a leisurely and casual tour at our own slow pace. But for the places we visited, she certainly impressed us as being vewry knowledgeable. She gave us so much of the historical background as should be necessary for us to understand the culture and hiistory without boring us with too much details. We were particualrly impressed by the visit to The Rocks in Sydney. Outstanding, knowledgeable, well read tour guide. Lyndal was a delight. We are so happy that we had her for our historical tour of old Sydney. I would give her 10 stars if I could. TOUR GUIDE RESPONSE: ms Kaplan! What a great day I had with you and Frank! Love New York and. New Yorkers......most enjoyable!! I'd drink champagne with you anytime!! I'll be thinking of you in the snow with deepest sympathy. And I am much encouraged by your marriage story! Bless you both! Our first trip to Sydney and Lyndal provided a great introductory tour. We covered a wide area and saw a variety of interesting places. Lyndal was friendly, accommodating and enthusiastic offering great restaurant and shopping tips which we used in the coming days. This is a great tour, which you can customise according to your interests. Lyndal is well travelled and knowledgeable on many subjects, making the day even better. Highly recommended. Lyndal was a wonderful guide. Very knowledgeable about all parts of Sydney. She made every minute and every word count in providing us with a delightful overview of all the important parts a Sydney. The combination of Lyndal and our driver Michael made for a very easy day of learning about Sydney while at the same time driving around Sydney. For those with only a day in Sydney I would give this tour my strongest recommendation. Great tour and great people (Lyndal and her driver). TOUR GUIDE RESPONSE: Thank you JO!!! I really had a great day with them, especially as I worked at the world fair in Spokane and experienced great kindness from people in the Pacific North West,so they hold a dear place in my heart!! And they were amazing with their enthusiasm after the long flight!!! Hope to be of service again if you have the need! Lyndal was very concise & gave you a clear picture of the history of the city of Sydney. I learned quite a bit in a small period of time. Well done! We were a party of 6. Lyndal was prompt, very knowledgeable and knew where to take pictures to the best advantage. If we tried to see Sydney on our own we would have missed alot of history. We all enjoyed Lyndal's tour and you will be happy with her also. Lyndal was an incredibly "darling" guide! ( Lot's of darlings in Sydney) She was quite informative, knowledgeable and fun!! My husband and I had the most wonderful day with her! Lyndal was prepared, punctual and adapted the tour based on her anticipation of our interests. I would ABSOLUTELY recommend that if you are in Sydney. Lyndal is an ABSOLUTE MUST HAVE guide... Thank you for a wonderful time! OH and I was able to find Lord Nelson's from your directions! Bill left QUITE thrilled!! Thank you again!! We had a fantastic tour with Lyndal. She was extremely knowledgeable and entertaining with facts and info suitable for myself and my daughters. Would recommend to everyone!!! We give this tour 5 stars! Lyndal was extremely knowledgeable and tailored our tour to our specific interests -- which was no small feat given that we had two adults and two teenage daughters. We only had a layover of a few hours in Sydney; and Lyndal promptly collected us at the airport and gave us an excellent overview of the city with plenty of photo-ops. Strongly recommend Lyndel and this service. TOUR GUIDE RESPONSE: Bless you Don! So nice you have launched my ratings with five stars. I had a thoroughly lovely day with you and your family. And I am hoping the Land of the Wrong White Crowd aka the Land of the Long White Cloud(NZ) is treating you kindly. Lyndal was an excellent and knowledgable guide. We enjoyed the pace of her tour and her ability to understand our needs. She made us feel very comfortable because of her easygoing temperament . Thank you, Lyndal, for a fulfilled adventure of Sydney!!! Marilyn von Emster PS Sorry for the delay in responding, but I was busy with Christmas shopping.